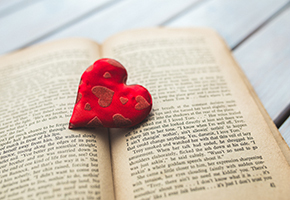 Monday, Feb. 11 thru Friday, Feb. 15: Blind Date with a Book – Stop by our “heartfelt” display in the Learning Commons and browse specially selected books that are wrapped and waiting for you to take them home. You surely will be in for a surprise because there is no peeking! Monday, Feb. 11 thru Friday, Feb. 15: Visit our graffiti board in the Learning Commons and tell us what you love about the Oviatt. 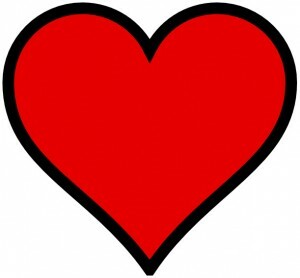 Tuesday, Feb. 12: Get your “I Love the Oviatt” temporary tattoo in the lobby from 11:30 a.m.-1:30 p.m.
Wednesday, Feb. 13 and Thursday, Feb. 14: Make a Valentine for that special someone at our Valentine’s Arts & Crafts table. We will be in the lobby from 11:30 a.m.-1:30 p.m. Be sure to check out the 3D printer near the Arts & Crafts table that will be printing Valentine bookmarks and more! Thursday, Feb. 14; 7:45 a.m. to 12 a.m.: Check out our Valentine’s Day slideshow in the ASRS Viewing Room powered by one of the fantastic databases the Library makes available: ARTstor. Next Post Celebrate Black History Month!